Is anyone tired of April showers yet? Well, I know one guy who is all about that rain because it allows him to swoop in, looking all dashing and heroic, saving young maidens and their twisted ankles when they stumble down mud-soaked hills. Is he a bit of a devil? Absolutely, but I’ve always had a soft spot for Sense and Sensibility’s Willoughby of Allenham, and for many reasons, I think Jane Austen’s finest rogue is the perfect choice for our Literary Hunk of the Month. John Willoughby is a cad. There’s just no way around it. But even cads need a little bit of love, and Willoughby is the most charming cad there is. Not only does he look great in a shooting jacket, but he’s the boldest rider in all of England, and he’s got the finest pointer you’ve ever seen. Aside from all that, he talks about his feelings. Like, all the time. He’s passionate about his favorite books, quotes his favorite poems, and sings like an angel. In the span of one morning, he will tell you his opinions on almost every matter worth discussing, but in an interesting way, not in a droning on and on way. Obviously, someone who is that much of an open book has to have his fair share of secrets hidden underneath, but he gives his lady a horse bred specifically to carry the weight of a woman! He can’t be so bad, can he? So he’s not the guy you want to marry. So he seduces a young woman, gets her pregnant and accidentally forgets to send along his forwarding address. So he drops the girl he does love without a word and acts all, “Who are you again?” when she sees him in London. No one ever said he was honorable—and he never pretends to be honorable. He’s just a young dude without a fortune, livin’ life and breakin’ hearts all over England. As he puts it, he’s a blockhead. He’s the perfect Literary Spring Fling. In all honesty, I love Willoughby. 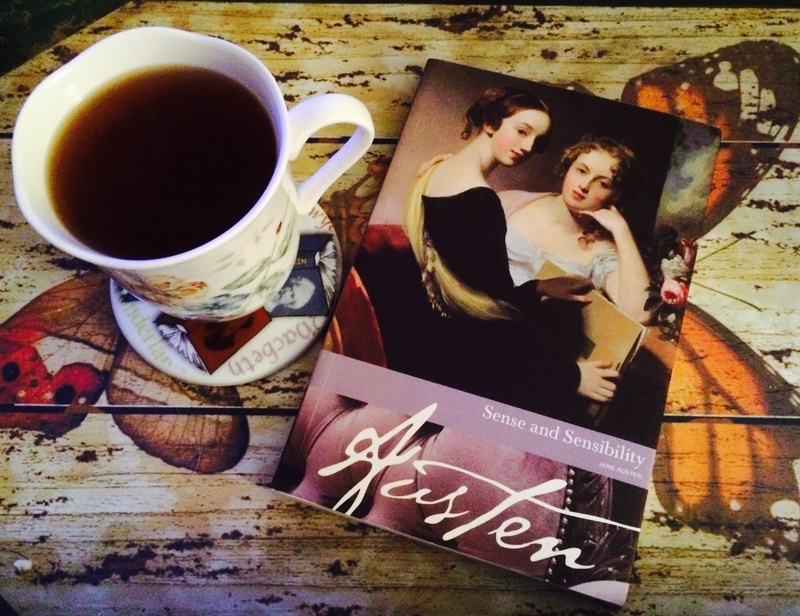 He is my very favorite Jane Austen character (true story) because he’s so much more than he appears. He’s a rascal. He does some seriously questionable things—but he has a heart. He truly falls in love with Marianne Dashwood and if it weren’t for the small matter of his secret love child and subsequent disinheritance, he would have lived happily ever after with her, talking about poems and strawberries and horses. The thing is, he knows how badly he screwed up. When Marianne is ill, he apologizes and explains his every action to a totally flabbergasted Elinor. He knows it won’t get him anywhere—he’s already tied down to someone he doesn’t love—but he does it because he cares. Because he’s not really a bad guy. Jane Austen knew how to create a rogue better than anyone, and Willoughby is the greatest of the great. It’s a little sad that the mischief had to end in an unhappy marriage, but it was probably in the best interest of, you know, all of the ladies in England. Looking for a great on-screen Willoughby? 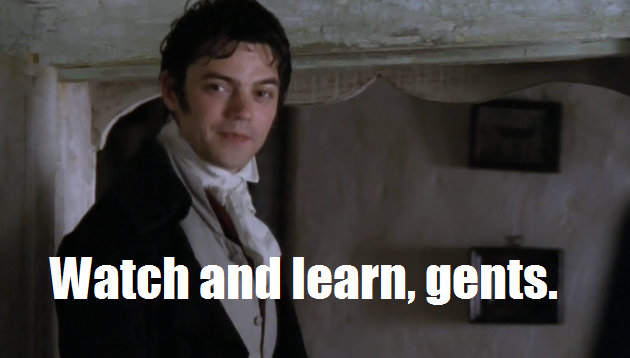 Look no further than Dominic Cooper in the 2008 BBC version. To me, it’s the one adaptation that actually gets Willoughby. Catch up with our previous Literary Hunks of the Month here, and don’t forget to follow us on Facebook and Twitter for more swoon-worthy heroes and rascals. You are amazing! That was wonderful!